Intelligent Retail are leading Multichannel EPoS suppliers based in the UK and servicing the UK and Eire marketplace.  Intelligent Retail has been recognized as one of UK&apos;s most pioneering fast growth leading EPoS Suppliers. We are the leading EPoS system suppliers of leading edge EPoS equipment for independent retailers in the UK. To date, we have helped over 170 retailers run their business more effectively with increased control and more profit. Do you find keeping track of your stock and inventory difficult? Do you find it tough to be on top of which suppliers are delivering the most profit for you? Does lack of the right stock make you lose out on customers? If so, the answer might lie in your retail software. With our EPoS solution at Intelligent Retail, you will be better informed about your stock on an up to the minute basis. You can identify fast moving items, growth areas and instantly create orders for more stock. Then print the orders off to the supplier in an instant. Thus you can replenish all your stocks in a fast, simple and flexible manner. With the right information at the right time you can make better decisions. Being the leading EPoS suppliers we have helped many retailers get on top of their inventory. What&apos;s more, the special reports we produce help them generate more accountability from their suppliers. If you find promoting your business a tough task, you will find our EPoS solution beneficial. With the ability to run diverse marketing campaigns, as well as provide instant discounts and customer loyalty point programs - you can now promote your business across all channels, shop, website and eBay. This is because our EPoS solution is connected across a vast range of channels. What&apos;s more, you can even connect eBay, your website, your till and much more through a single interface! We are the leading EPoS suppliers that have made a world of difference to all our independent retailers in the UK. Since starting Connect 2 years ago, we have seen our highest ever recorded growth. We are so impressed with the Connect Retail system, we all think it&apos;s brilliant! There seems to be no limit to the variations Connect can support.